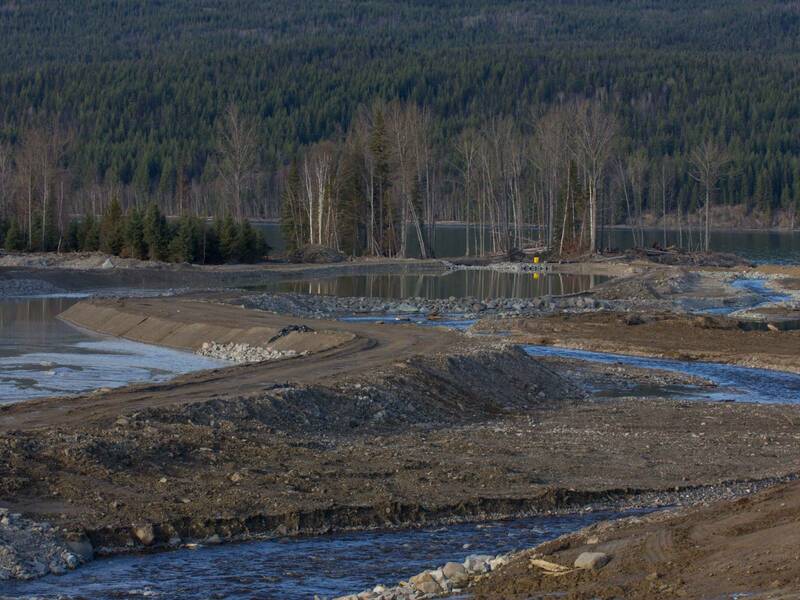 On Easter Sunday, April 5, I traveled with a scientist and an engineer from Vancouver to Likely, BC, the site of the infamous Mount Polley tailings breach. 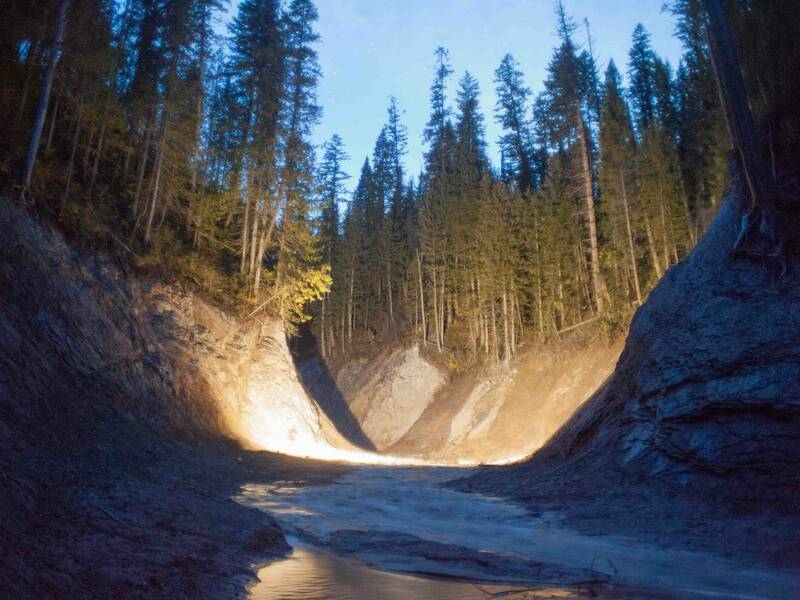 The three of us shot photos, took samples and pulled each other out of tailings quicksand as we hiked seven treacherous kilometres from Quesnel Lake up the completely destroyed Hazeltine Creek to the site of the dam failure. Eight months have passed since one of the worst mining disasters in Canadian history. 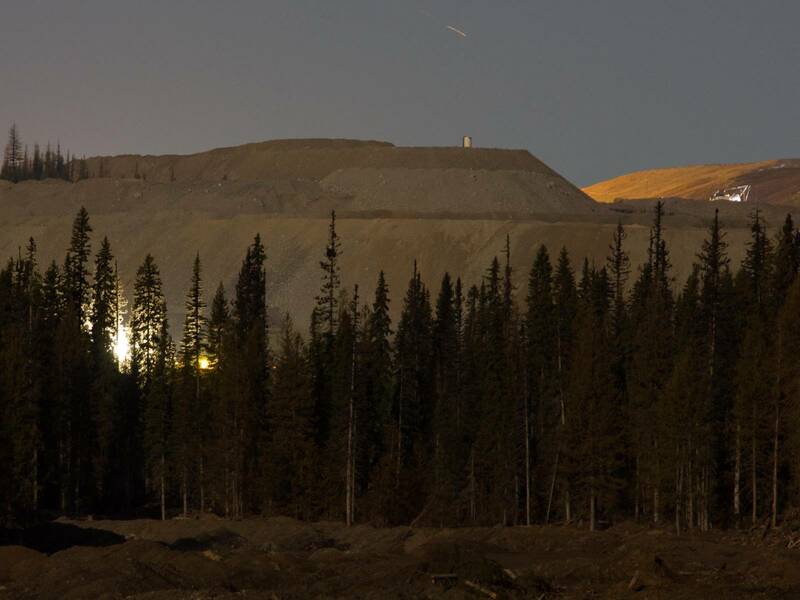 Despite an ongoing RCMP investigation and a complete lack of clean-up, the BC Ministry of Energy, Mines and Natural Gas has agreed to review an application from Imperial Metals, the company responsible, to reopen the Mount Polley gold and copper mine as early as June. The month-long review began on April 1, meaning that it will be completed before the results of the investigation have been released. That investigation, which led to a raid at Imperial Metals’ Vancouver office in February, could yield criminal charges. Allowing a review to go forward before the investigation has been completed does raise a question. 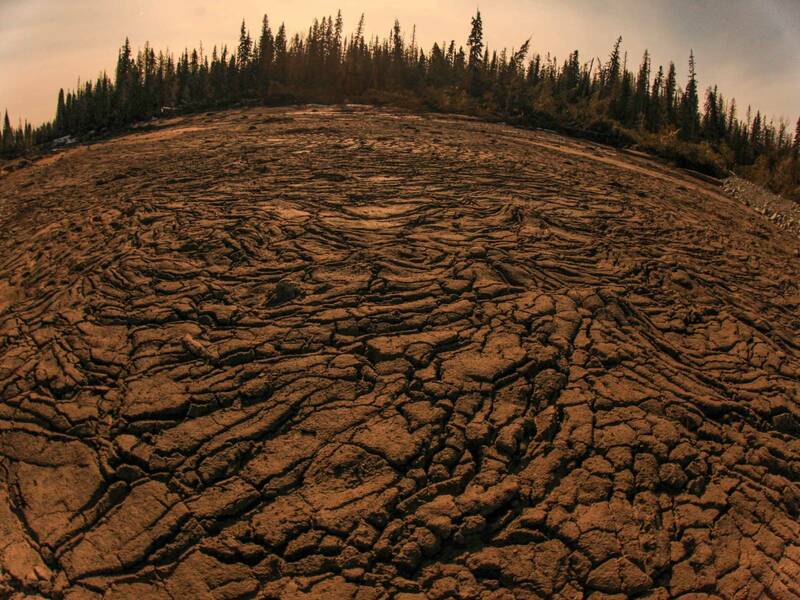 Do government and industry view disasters like the one at Mount Polley as an acceptable cost of doing business? I spoke with Larry Chambers, a former employee of the mine who believes he was fired for raising safety concerns. The disaster took place on unceded Secwepemc First Nations territory, home to Kanahus Manuel of the Secwepemc Women Warrior Society, a group opposed to all development that threatens water in their territory. Secwepemc territory is also home to a vast stretch of the proposed Kinder Morgan tar sands pipeline, as well as the Ruddock Creek mine, proposed by Imperial Metals and currently undergoing an environmental assessment. Given the extent of resource extraction proposed on contested lands, whatever happens next may well set the tone for the future of an industry that Canada dominates worldwide. You can watch a video Nicky Young has made on this subject here. 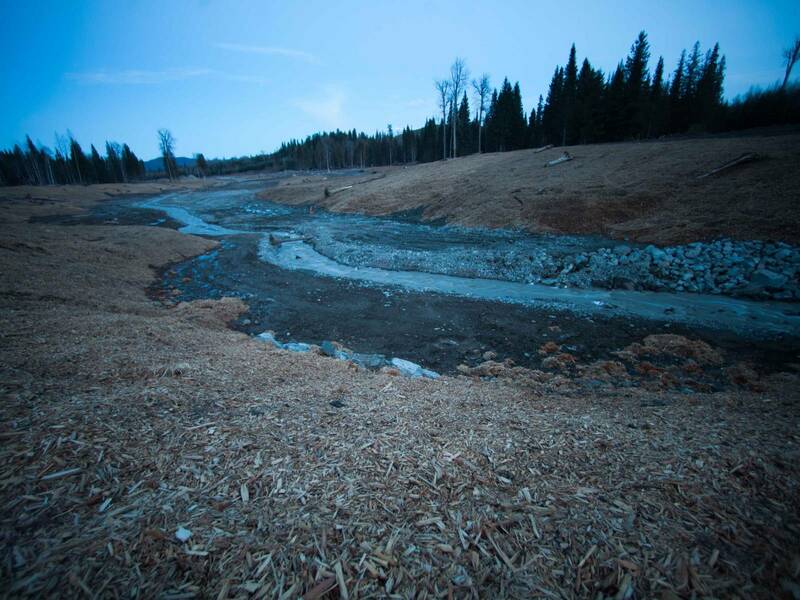 Hazeltine Creek has been transformed into two separate streams of very different colours flowing 7 kilometres from the breach area into Quesnel Lake, pictured here. 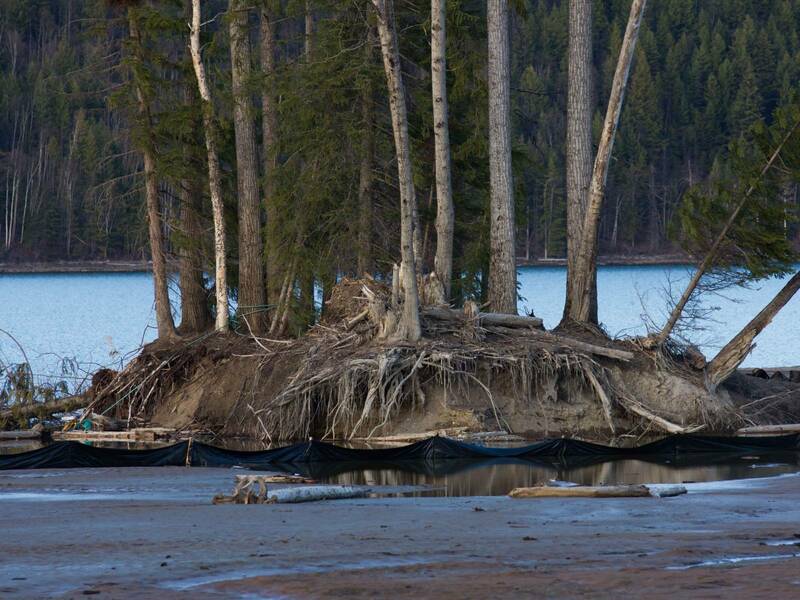 Sediment ponds constructed with thin sheeting struggle to filter out tailings contaminants before water enters Quesnel Lake. 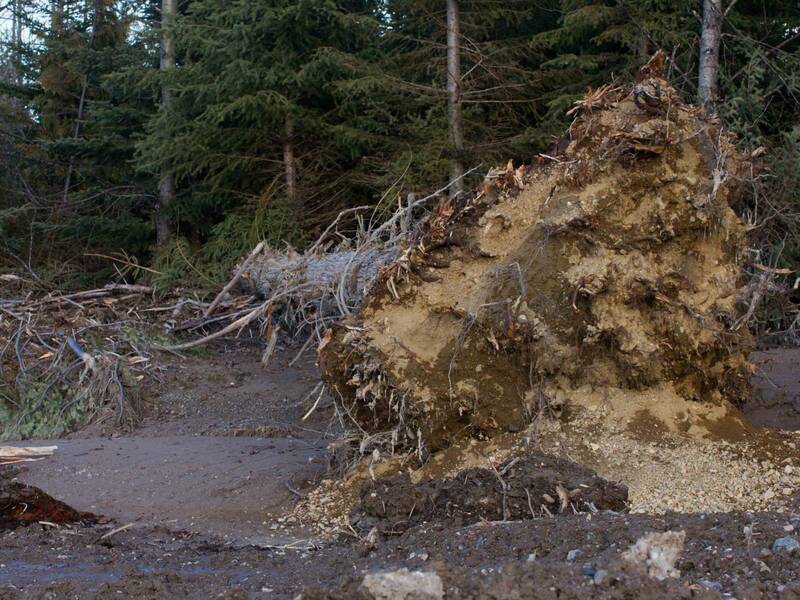 The flood of toxic tailings was so powerful it uprooted massive trees. 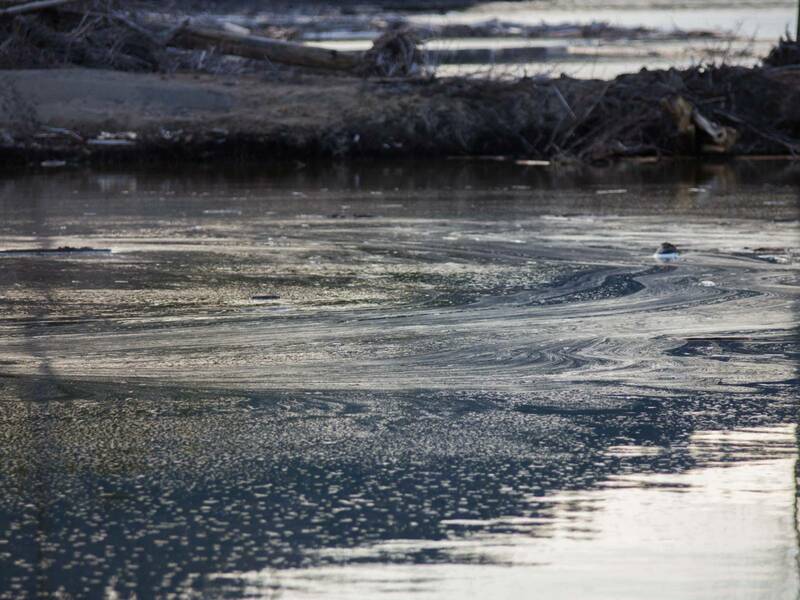 Ten million cubic metres of water and 4.5 million cubic metres of slurry tailings containing lead, mercury, arsenic and selenium eventually flowed into Polley Lake, Quesnel Lake and the Fraser River watershed. Debris covered in tailings still litters the length of Hazeltine Creek eight months after the disaster. 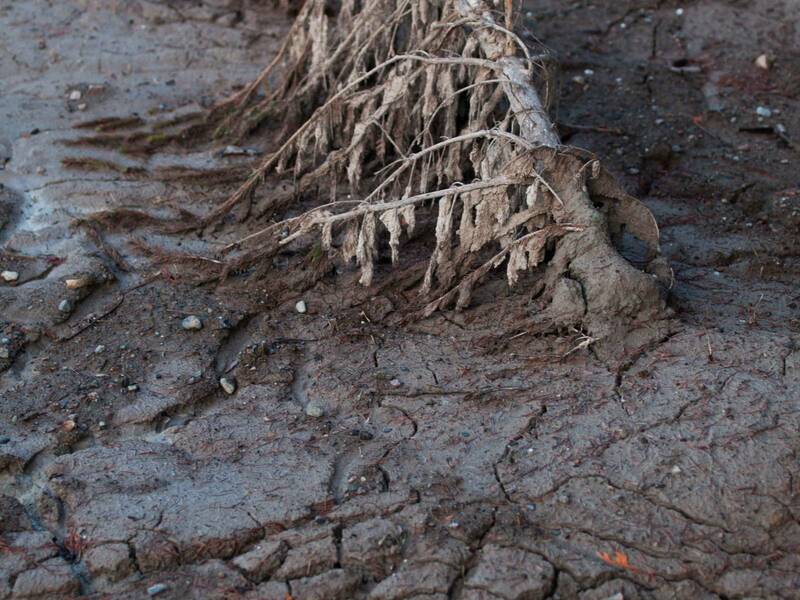 In some areas visible from roads, wood chips have been used to cover up tailings. Much of Hazeltine Creek has been transformed from a small creek into a massive gorge carved out by the tailings. 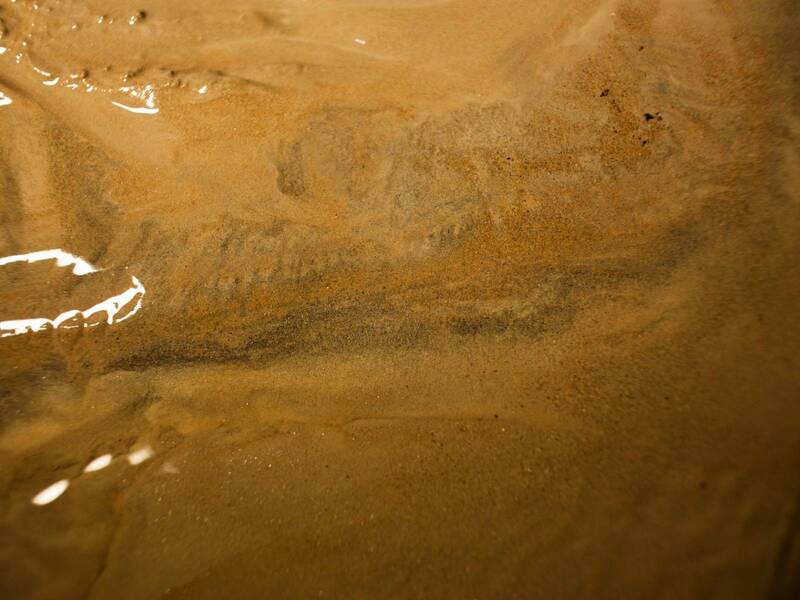 Deposited along the gorge are deep pockets of dangerous tailings quicksand. Tailings have begun drying out in a massive area close to the breach. As they dry they turn into an extremely fine dust that is easily airborne. After eight months, even wood chips haven’t been laid here to prevent air contamination. 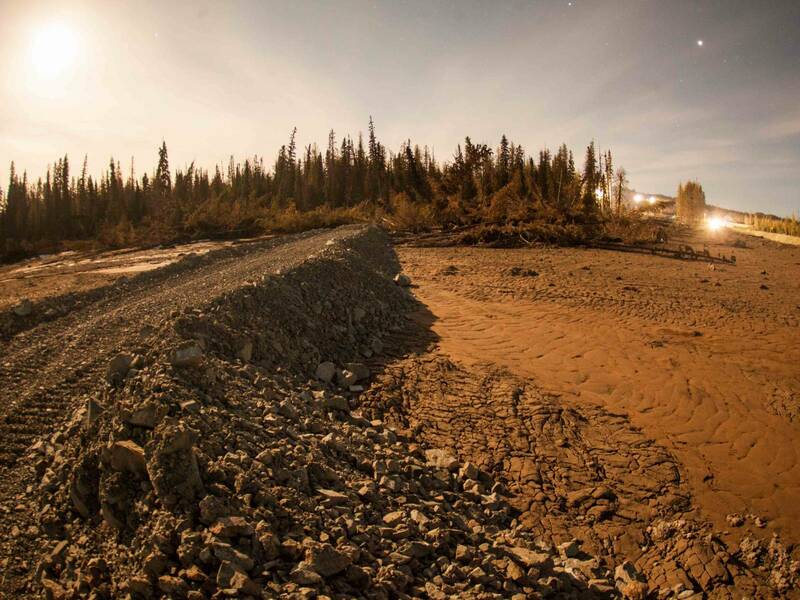 A road divides two massive areas of drying tailings, very close to the site of the breach, where workers appear to be fixing up the dam on the right. Workers appear to be fixing the failed dam at night, yet no clean-up activity was seen anywhere along Hazeltine Creek from 5 p.m. to 6 a.m.